It was a tough day for the NASDAQ on Wednesday, as big tech came under heavy fire on Capitol Hill and from each other. It seems as if each day is greeted with news of one big tech name entering some other company’s turf. This week, Amazon is going after the online ad business of Facebook and Google. Yesterday, Apple (AAPL) bolstered its online content investment, sending shares of Netflix (NFLX) lower. The great news is the broad market didn’t fall apart without big tech. However, a lot of the buying was defensive or value investing, which propelled utilities, real estate, and consumer staples. I have been asking everyone to round out their portfolio with exposure to certain consumer staples as tech becomes more selective. In addition to names such as J.M. Smucker Co. (SJM), there was a nice action in Materials (XLB) and Industrials (XLI), led by the rails. Within the tech sector, semiconductors looked compelling, which isn’t the first time we’ve seen a rotation from big tech into other niches in the sector. Our revenue increased more than 20% for each of the first two months of the third quarter, due to sustained strength in the domestic economy and our continued ability to win market share by delivering superior service at a fair price. Customer demand for our service offerings remains strong, and we believe our service center network capacity will remain sufficient to support the anticipated growth of our business for the foreseeable future. We intend to continue to reinvest in our business to ensure that we have the necessary equipment, facilities and people to support our long-term strategic initiatives, which we believe will continue to increase shareholder value. Shares of ODFL are surging 2.9% on the day, and in the process, are helping to lift the overall Dow Jones Transportation Index (DJT) near its all-time high point. I think the market isn't going higher because people are having a hard time trusting their money to what really are petulant children. Tariff this and that. That's the only thing that matters, but it isn't. It's all the "market" cares about. Wall St is the swamp. I'm glad you brought this up...please don't confuse the market with market commentators. 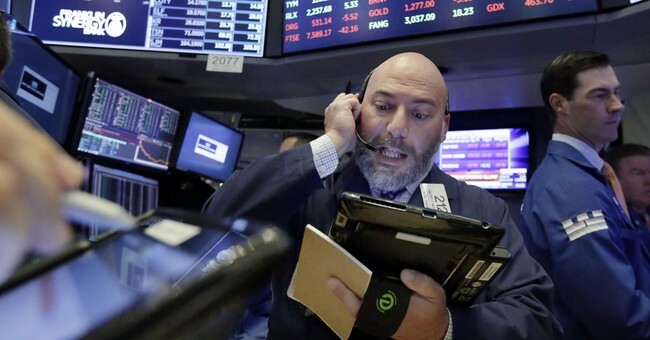 Three of the four biggest hits to the stock market in 2018 happened in response to fears of Fed policies with the largest tariff-related, down on March 22, resulting in the market opening at the low of the year on March 23. Since then, the market has been in a very strong stealth rally - up five straight months. I’m sorry to say so much about the media, including the financial media who wear their hatred for President Trump on their collective sleeve. It has clouded coverage of news, trends, and facts to the point where I believe it has hurt individual investors. I was often critical of President Obama, but I begged people to buy the stock market, which saw its second biggest sell-off in history and presented a once-in-a-lifetime opportunity. When the economy slows, or the market gets too lofty, I will sound the alarm. Right now, the economy is reemerging in ways many people wrote off a long time ago. You really have to be smart and parse an opinion from facts with every report, article, or television segment. When stories feature anonymous sources, making incendiary claims become the norm, beware.